Guys and gals, it's a big day for nabi 2 owners. 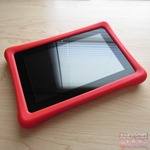 The days of rooting and flashing Google Play will be long gone later today, because Fuhu will be officially rolling Google Services out the company's most popular tablet. 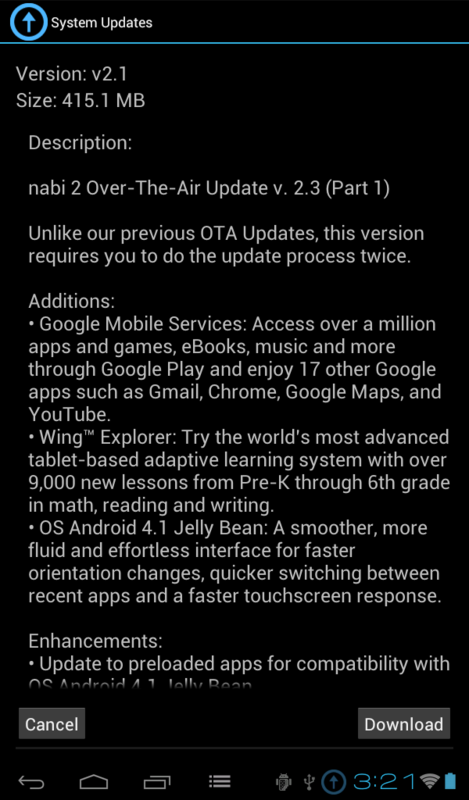 Since the nabi 2's release, the one sticking point has always been the lack of Google Play. 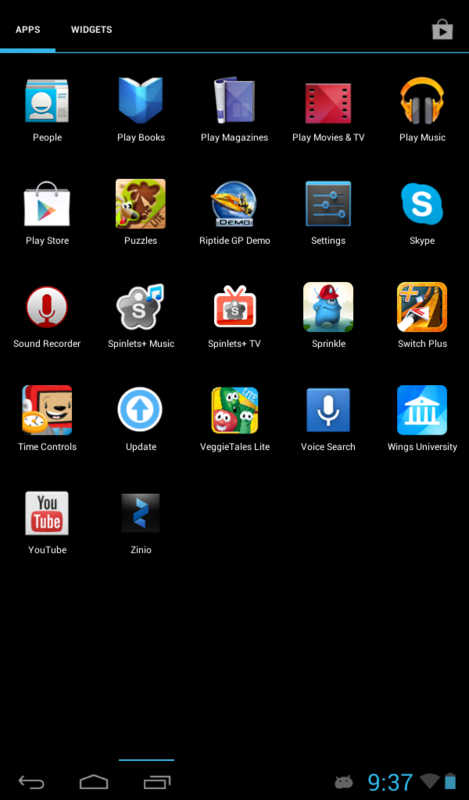 This left users with Amazon's Appstore or Fuhu's App Zone (or worse, some third party "store" no one has ever heard of) for their application needs. 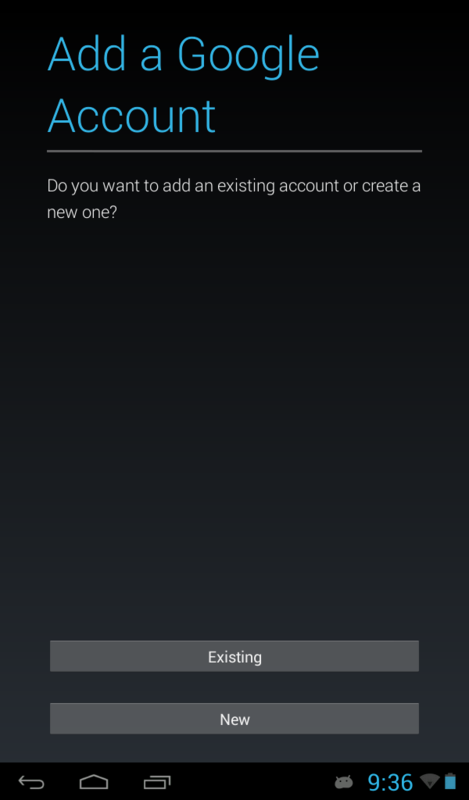 Let's be honest here – there are many options when it comes to getting apps on Android devices, but all pale in comparison to Google's own offering. 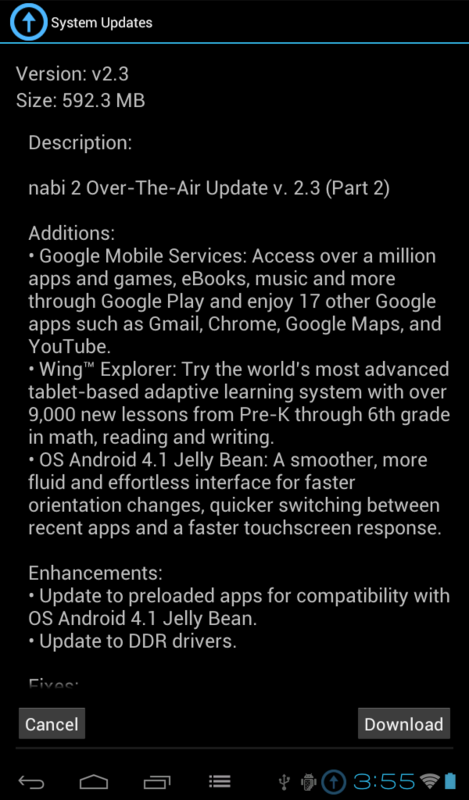 All of Google Services – including the Play Store, Gmail, Chrome, Google Maps, Hangouts, and the like – will be available on nabi 2 units after the update. This instantly makes it a more valuable device, and an even better one for kids. It has long been my favorite tablet designed for children, so I'm glad to see its one caveat going the way of the dodo, especially just before Christmas. Great timing! Update 12/19/13 3pm PT: The 2-part OTA is live, with the first one weighing in at 415MB and the 2nd at 592MB. 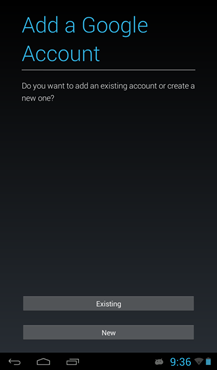 Not only does it bring various Google's services, it also updates the tablet from Android 4.0 to 4.1 Jelly Bean. EL SEGUNDO, CA--(Marketwired - Dec 19, 2013) - Fuhu, Inc., creator of the award-winning nabi tablet, proudly announces today that Google Mobile Services is now available for nabi 2 via an Over-The-Air update. nabi 2 users now have access to Google Play and 17 other Google apps including Gmail, Chrome, Google Maps, and Google Messenger. With powerful technology, fast performance and amazing experiences combined with access to Google Mobile Services, nabi 2 is truly the top choice in tablets for kids. "We are happy to be able to offer Google Mobile Services to our nabi 2 users to expand and deepen their tablet experience," said Jim Mitchell, CEO of Fuhu. "Being able to offer Google Play Store along with Movies &TV, Music, Books on our nabi 2, shows our dedication to constantly provide enriching experiences and rich content for both kids and parents." In addition to nabi's own curated App Zone, nabi 2 users now have access to over one million apps and games with Google Play Store, and over 20 million volumes with Google Play Books and Play Magazines. Kids and parents can also access millions of other digital content such as movies, videos and music. Google Mobile Services also brings an array of Google's most popular utility apps such as Google Maps, Google Messenger, Gmail and Google Calendar utilizing nabi 2 wi-fi capabilities. Award winning nabi tablets are the first full-featured Android tablets for kids that deliver rich and engaging experiences in education and entertainment. It provides kids with a learning solution such as Wings Learning System™ (the first tablet-based Adaptive Learning(SM) system that tailors courseware based on a child's proficiency), and console-quality entertainment powered by NVIDIA® Tegra® processors. The nabi tablet is the #1 selling Android tablet for children, built with the most comprehensive set of parental controls, Drop-Safe® bumper, its exclusive nabi Coins™ and Treasure Box™, Spinlets® Plus TV and music stores, and world's first animated character based Time Controls™ that speaks to kids. 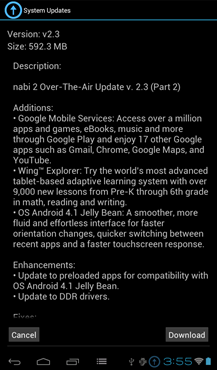 Google Mobile Services including Google Play is available for nabi 2 users via an Over-The-Air update scheduled for 12/19/13.